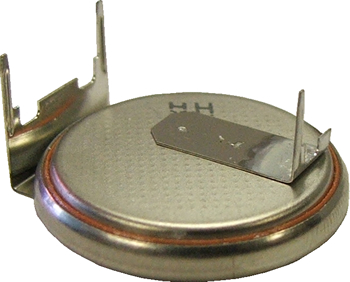 Lithium Coin Cell High energy, high reliability 3 volt power source. Excellent memory backup power source. Low self discharge rate gives this cell a 10 year shelf life. Stable voltage and broad temperature range (-30� to +70�C).